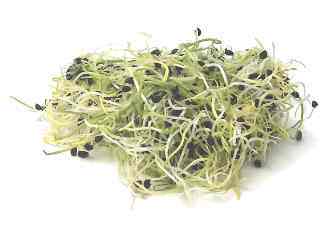 Sprouts spring from newly germinated peas and beans. 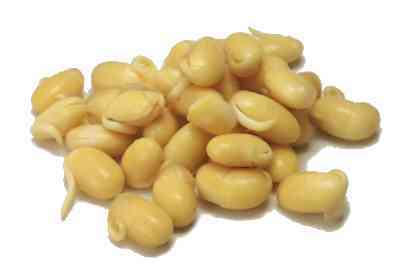 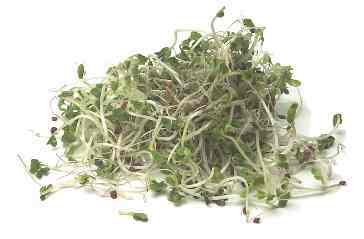 They won't add much in the way of nutrients--or calories--to your diet, but they're tasty and inexpensive. 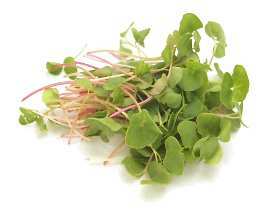 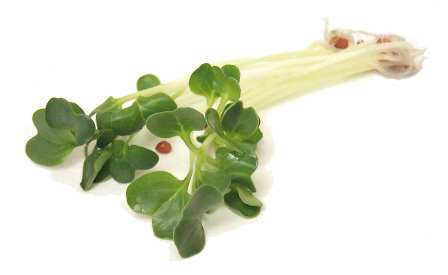 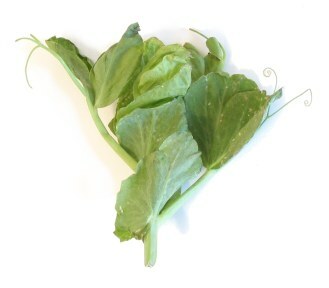 There are many varieties, ranging from mild and crunchy mung bean sprouts to spicy and delicate radish sprouts. 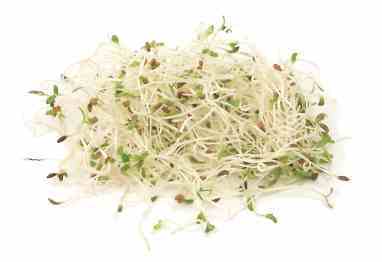 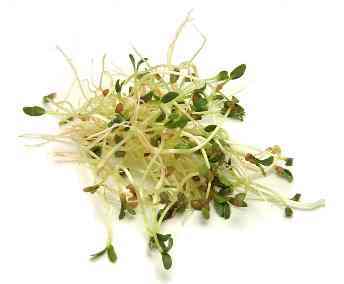 Raw sprouts are great in salads and sandwiches, and the sturdier varieties can also be stir-fried briefly. 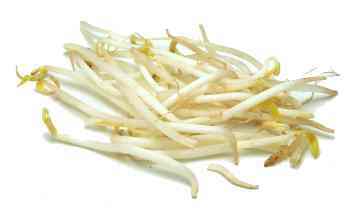 kaiware Pronunciation: ki-WAHR-ay See daikon sprouts.